Aside from having an up-to-date LinkedIn profile, there seems to be more waiting around than getting job interviews or receiving promotions. Why so? You’ve given all the relevant information needed to land a job, or to convince your boss that it’s time for you to step up the corporate ladder — but what else is missing? Your network. Knowing how to fully utilize your network will help advance your career by leaps and bounds. 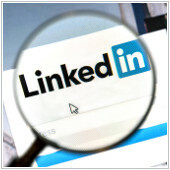 All you have to do is start using LinkedIn’s Alumni tool.